The matriarch of the Crawley family and Robert’s mother. 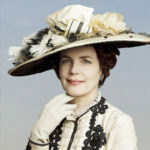 Violet is stubborn and proud, and in particular seems to be at odds the most with both her American daughter-in-law, Cora, and with Mrs. Isobel Crawley, with whom she develops a bit of a shared rivalry. 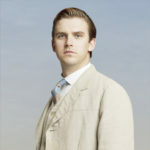 Robert grew up in Downton Abbey, and as a man he now considers his one purpose in life the smooth overseeing of the estate (he in fact refers to it as “his third parent, and his fourth child”). A good man whose position and status do not seem to go to his head one bit, he is kind but firm with both his family and the staff equally. An American who married Robert, despite realizing that he was marrying her more for her fortune and less for love at the time. 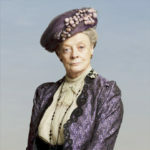 She is even-tempered, the consummate wife and proper lady. The eldest daughter. Mary is very beautiful, but comes across at first as very cold. Over time, she reveals herself to be much more than what shows on the surface. 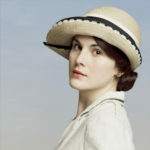 The stress of knowing that the future of Downton could rest on her shoulders is a heavy burden. The middle Crawley daughter, and at odds with her older sister Mary. The anger that she hides just beneath the surface becomes very obvious over the course of the series. 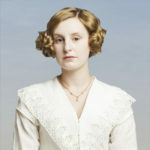 Edith definitely suffers from “middle child syndrome,” as most of the family’s attention paid to the girls is focused on Mary’s marriage prospects. 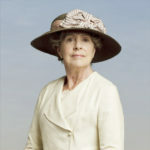 The youngest Crawley girl, Sybil is extremely kind and well-meaning. She is also a bit of a rebel, very political, and concerned with women’s rights. Isobel is Matthew’s mother. She is a down-to-earth women whose working-class manners are no match for the family’s aristocratic ones. She butts heads immediately with Violet, who looks down upon her more casual attitude, but at the same time seems to feel threatened by it. Isobel winds up working with the hospital as a way to pass her time and give back to the community, which puts her directly in Violet’s line of fire. 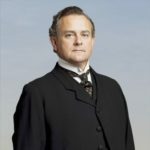 Matthew is Robert’s third cousin once removed, who, with the Titanic sinking, becomes the heir presumptive to Downton Abbey. He works in Manchester as a solicitor (lawyer), and has very strong feelings on how he doesn’t want his sensibilities to change with these new developments. In time, he and Mary share a surprising bond that could further complicate (or simplify, depending on how you look at it) their lives.